The Tennessee Valley Authority building (TVA) is lit Wednesday, Nov. 2, 2016. CORRECTION: A previous version of this story referred to Memphis Light Gas & Water as Memphis Light Gas & Electric. This story was updated Feb. 25, 2019, at 10:19 a.m.
Read the report prepared for Friends of the Earth titled Power to Memphis: Options for a Reliable, Affordable And Greener Future. Tennessee Valley Authority's biggest customer is studying the possibility of splitting from TVA and generating its own power or buying other power from its neighbors. Memphis Light Gas & Water, which has been buying all of its electricity from TVA since its creation in 1939, has commissioned a study to determine if the municipally owned utility could get cheaper power by generating its own electricity or by buying power on the grid. MLGW, which has 421,000 customers and accounts for nearly 10 percent of TVA's power load, undertook the analysis after getting an offer last year from developer Franklin Haney to supply Memphis with what Haney projects would be cheaper power from the Bellefonte Nuclear Power Plant that Haney's Nuclear Development LLC is trying to buy and finish in Alabama. J.T. Young, president and CEO of Memphis Light, Gas and Water, talks about role models during the American Association of Blacks in Energy panel at the TVA Missionary Ridge Auditorium Friday, February 8, 2019 in Chattanooga, Tennessee. MLGW determined Haney's initial offer from a single power plant that is not yet built or licensed was too unpredictable. But the proposal led the Memphis distributor to consider other alternatives to TVA. "We have some of the lowest power rates in the entire country and TVA has been a reliable partner, but we need to look at all of our options," MLGW President J.T Young said during a recent visit to Chattanooga. Like all 154 of the municipalities and power cooperatives that get their electricity from TVA, MLGW must give a 5-year notice before severing its purchase power agreement with TVA. TVA insists it is the best supplier with low rates, reliable power, more economic development aid and over $90 million paid in local taxes to the city of Memphis and surrounding counties. 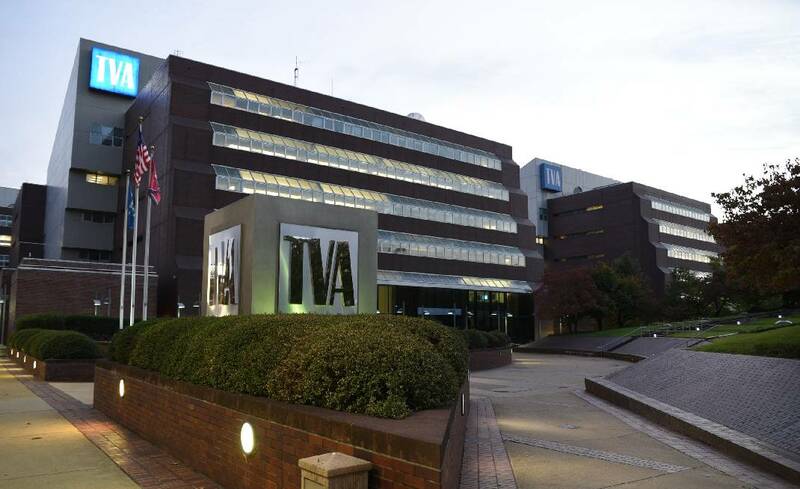 "I continue to think that the overall value proposition from TVA is going to be superior than anything else they can do," TVA President Bill Johnson said last week. "When people make a sales pitch, they always say they can sell power cheaper than we can. But I think when you do a fair comparison of all proposals, you will find that we will be lower cost and bring much more in terms of economic development, river and environmental stewardship, and in-lieau-of-tax payments. There are some advantages we have that no one else can bring to Memphis." But Friends of the Earth, an environmental group that is urging MLGW to split from TVA, released a study from Massachusetts-based Brattle Group last week that claims the Memphis utility could save anywhere from $240 million to $333 million a year by turning to its own natural gas and solar generation or by buying power from other independent power producers in the region. In 2017, MLGW sold a total of 13,308.2 gigawatt hours of electricity at a cost of $991.5 million, or 7.45 cents per kilowatthour. TVA CEO Bill Johnson speaks during a meeting by the Tennessee Valley Authority's board of directors at TVA Headquarters on Thursday, Feb. 14, 2019, in Chattanooga, Tenn. During the meeting, the board voted 6-1 to close the Paradise and Bull Run coal power plants, citing the plants' inefficiency, age and obsolescence in the current TVA power system. "Our analysis indicates that by 2024 a local mix of gas-fired generation, solar PV, battery storage, energy efficiency and demand response would result in wholesale power supply costs substantially below the current TVA rate," Jurgen Weiss of the Brattle Group wrote in a 48-page analysis released by Friends of the Earth. S. David Freeman, a Chattanooga native, former TVA chairman and consultant to Friends of the Earth, said MLGW "should embrace and implement this opportunity to reduce the utility bills paid by Memphis ratepayers, create more local jobs and help clean the air" by leaving TVA and turning to more renewable energy sources over time. "MLGW customers deserve to know their options for cheaper bills and cleaner energy," Freeman said. "City officials and MLGW officials need to begin the conversation now so the required five-year TVA notice process can begin sooner rather than later." Herman Morris, a former MLGW president who is another consultant for Friends of the Earth, said Memphis "has the power to become a showcase for 21st century energy" by building more solar, wind and other renewable generation that he said "will cost less and stop polluting the air and water. "We should be looking ahead and not backwards to TVA's expensive and dirty nuclear reactors and coal fired power plants," Morris said. But Johnson said if MLGW turns to natural gas generation in the near term or buys its power on the grid through the Little Rock, Arkansas-based Midcontinent Independent System Operator it will likely end up getting more electricity from carbon sources than TVA. Nearly 60 percent of TVA's power generation by 2020 is expected to come from nuclear, hydro, solar and wind generation. In contrast, about 45 percent of the Midcontinent ISO generation comes from carbon sources and the Brattle Group study suggests that if MLGW generates its own power in at least the next decade much of that could come from burning natural gas. Gas-fired generation is cleaner and emits less carbon than coal-fired plants, which still supply about 17 percent of TVA's generation. Friends of the Earth and other environmental groups also object to TVA's reliance upon its nuclear plants, which supply about 40 percent of TVA's power. Although TVA's debt has dropped to a 25-year low, the federal utility still has more than $24 billion of long-term financial obligations, much of it incurred by the money TVA spent on 10 nuclear reactors it began building but never finished. GDS Associates Inc., a Marietta, Georgia-based engineering and consulting firm, is conducting an integrated resources plan for MLGW which is likely to take about a year to develop and get proposals from various power suppliers. 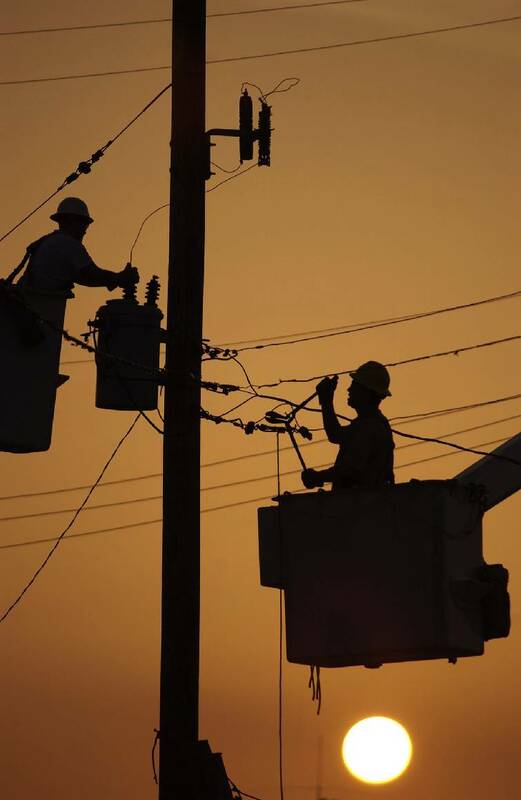 An initial GDS study released in January showed there could be savings in electricity rates for MLGW by splitting with TVA, but there could also be transmission costs involved with moving power into Memphis from new generation sources other than TVA. Buying power on the grid also could subject MLGW to price spikes during peak demand periods and could prove more expensive if natural gas prices rise significantly or if the price of solar power remains above the market price. 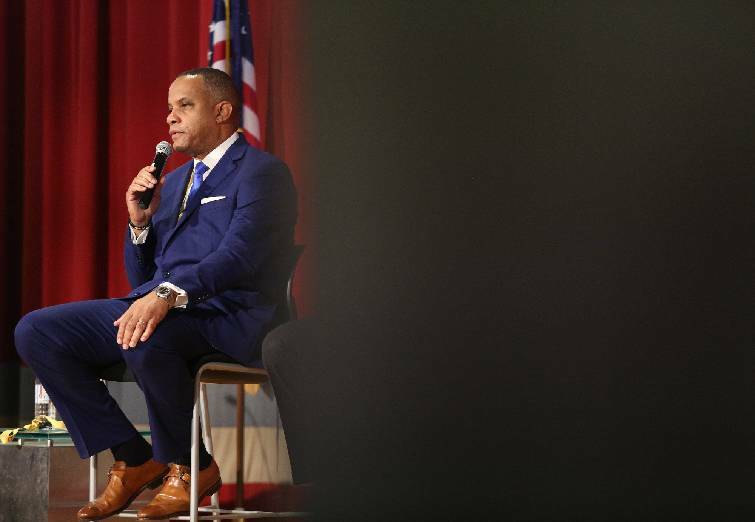 Johnson said Memphis also benefits by TVA's payment-in-lieu-of taxes (PILOT), which are equal to about 5 percent of TVA's total revenues and are distributed to states and localities based upon state laws in each of TVA's seven states. If Memphis generates its own power or buys power on the grid, it would not received such tax payments. Memphis also would no longer be a part of TVA's economic development program, which last year topped $11 billion of new investment and helped add more than 65,000 jobs in the Tennessee Valley. "I spent 35 years in investor-owned utilities, all of which do some economic development," Johnson said. "But nobody does it like TVA. The scope and the impact here are just orders of magnitude different from what anybody else does." Johnson declined to speculate about the impact on TVA if it were to lose its biggest customer. But the TVA president said there would be savings to help offset some of the revenue reductions from any decision by MLGW to leave TVA. "I think we're all better off, including Memphis, if they stick with TVA," he said.